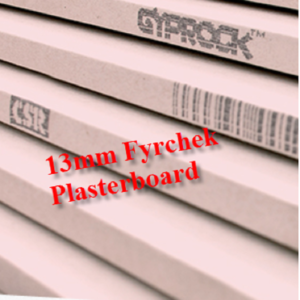 Gyprock Fyrchek is part of Gyprock’s Commercial Select range of plasterboards. It is a fire and acoustic grade board with a specially processed glass fibre-reinforced gypsum core for use in fire rated wall and ceiling systems and where improved acoustic performance is required. 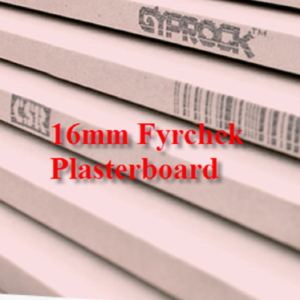 Gyprock Fyrchek® Gyprock Fyrchek is part of Gyprock’s specialty range of plasterboards. It is a fire and acoustic grade board with a specially processed glass fibre-reinforced gypsum core for use in fire rated wall and ceiling systems and where improved acoustic performance is required.